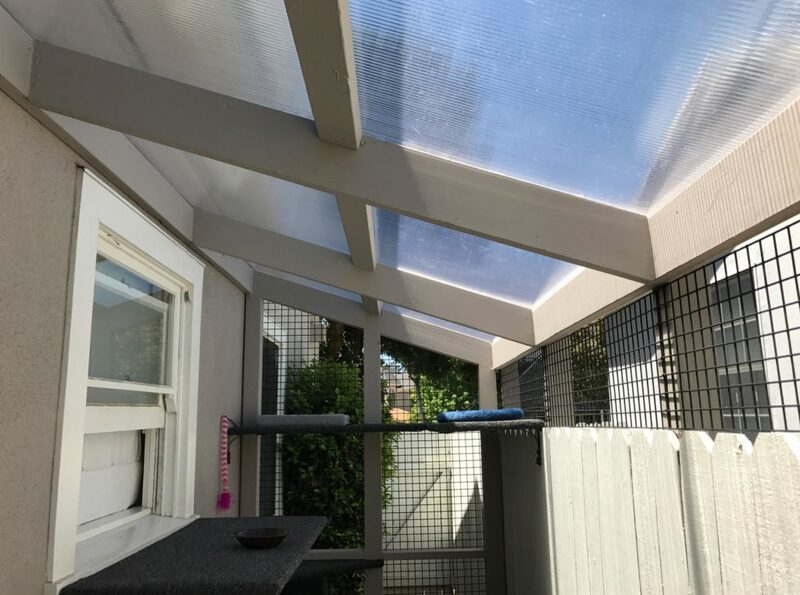 There are many benefits to building a catio but, perhaps, none are more important than the protection they provide cats from predators. 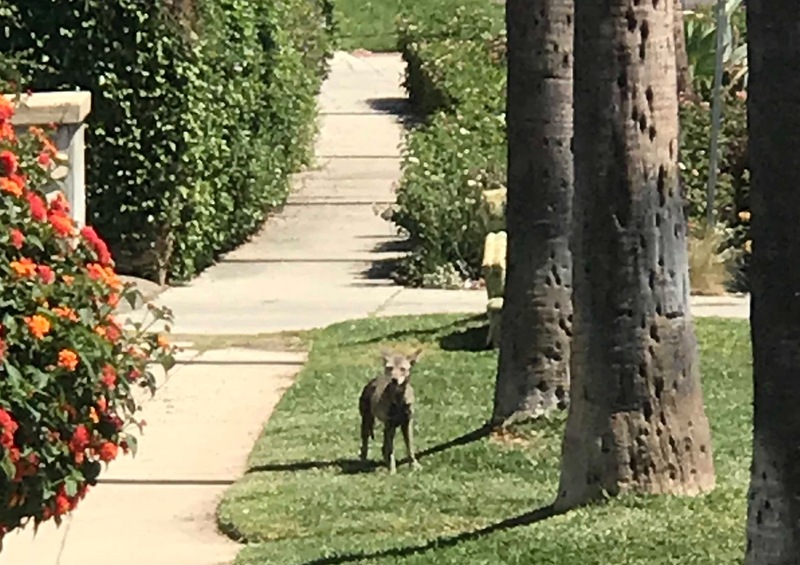 In Los Angeles, the number one predatory threat to our feline pets are coyotes. As such, we have repeatedly warned of the danger coyotes pose to cats. In fact, a Palisades client had a coyote visit the roof of her catio a mere month after completion. Luckily, her cats were safe inside the enclosure looking up at the wild trespasser through a clear roof (see photo below). 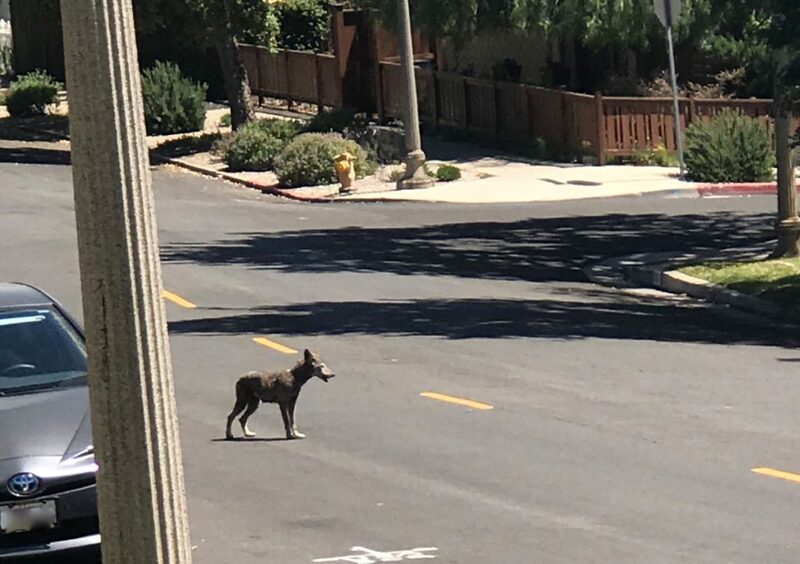 Despite the above, we were still shocked when a coyote visited an Eagle Rock job site – twice – earlier this week. Per the above, the surprise was not so much the close sighting, but the noonish time of day. Generally, coyotes are nocturnal “when living in close proximity to humans.” Apparently, this guy never got that message.